Christmas is normally a joyous occasion, a time of celebration, of gift giving and receiving, of family time. But to be honest neither James nor I feel like being particularly joyous or doing too much celebrating. Fortunately Murray is just young enough that we can get away without having to do too much and letting the day go largely unnoticed. I was chatting to our grief counsellor, Peter, about how I was really battling to get my head around doing anything to celebrate Christmas (which he said was totally normal as to do anything celebratory while in the midst of grief is totally at odds with what you are feeling – its sometimes nice to be told what you feel is normal!) and he had a wonderful idea. Instead of doing a Christmas Tree with lots of glitz and glam and flashing lights, do a Yugen Tree. “Yugen is a Japanese word that sits at the core of the appreciation of beauty and art in Japan. It values the power to evoke, rather that the ability to state directly. If Christmas is a time of gifts and giving, consider that we are surrounded by gifts every day and every moment of our lives. It’s called yugen. A sunset on the beach. A paper bag dancing in the wind. Three dogs sticking their heads out of the rear window of a passing car. A little girl laughing her head off. A butterfly gently landing on your left hand. All these are yugen. It costs nothing. It’s totally awesome. And it leaves us breathless every time.” As written by a friend of Peter’s. And so we have created our Yugen Tree. A tree to acknowledge the simple things in life we should be grateful for and that we so often take for granted. 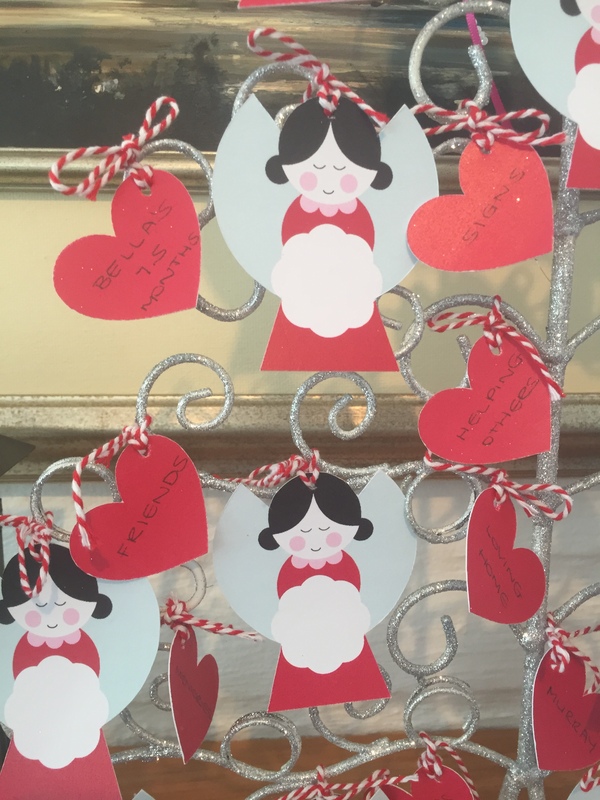 We have put little angels on the tree to celebrate our Belsie, and then a whole lots of hearts. And on each heart is written one thing we are grateful for. 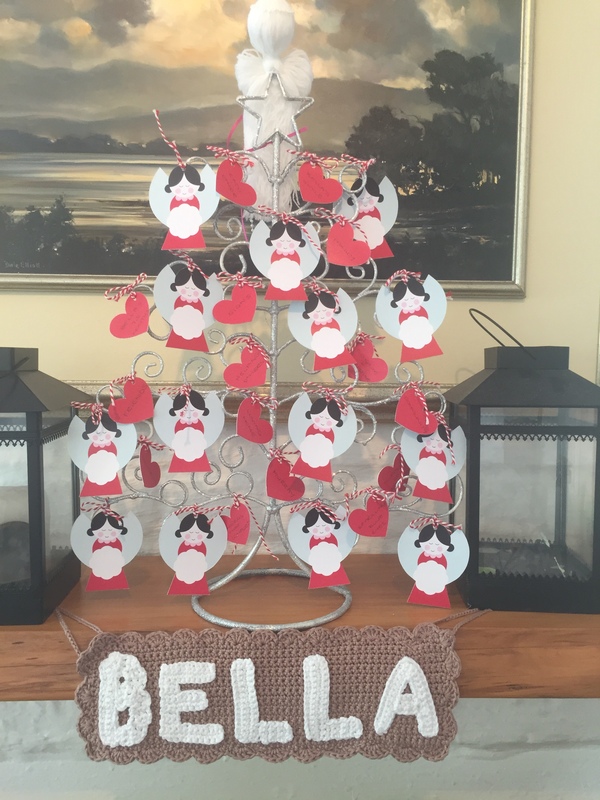 We have also put 2 beautiful angels we were given by Riley’s family and the banner with Bella’s name was lovingly made by James’ sister. We are reminded to have the strength and stillness to appreciate the blessings which we have in our lives, without being disillusioned with what we have lost. My darling Bella, you didn’t get to celebrate even one Christmas with us, but we will remember you, miss you, hug your brother even tighter and appreciate each yugen moment.